iMessage is the one of the favorite feature among Apple users. It’s also one of the most secure messengers around right now because of the end-to-end encryption feature. The level of security when Apple users communicate through iMessage is very high because of this feature Apple introduced earlier last year; even Apple Inc. can’t have access to its users messages. iMessage isn’t the only one which has this encryption feature WhatsApp, Snapchat are some other competitors in the market. 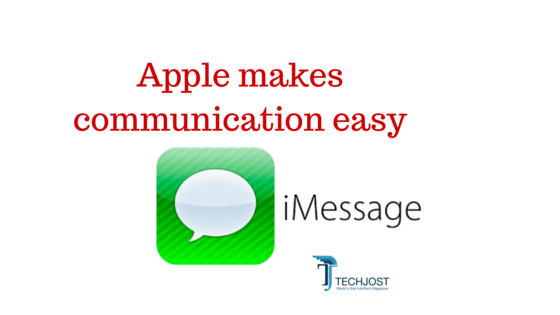 Right now Apple users can only enjoy iMessage app through iPad, iPhone, iPad, iWatch or iMac. However; it is rumored this week that company is planning to announce this Monday on WWDC (Worldwide Developer conference) that its iMessage can now be delivered on Android devices. The news was first broke by MacDailyNews on Thursday; the name of source hasn’t been discovered, but it is believed to be close to the Apple Inc. This change of strategy by Apple Inc. may result in more people moving towards iMessage; currently WhatsApp Messenger is the market leader, which is owned by Facebook. iMessage is a close service for a long time; only popular among Apple users, but in era of communication this strategy can risk in making your user dissatisfied. This is the first time Apple Inc. has taken such step and if it works maybe we see something similar happening to FaceTime or other applications. This strategy will be a perfect answer for Apple Inc. long time rival Google who recently launched a messaging app “Allo”; which will allow it users to express themselves even better with many stickers and an amazing feature called “whisper shout”. Messaging apps has changed the mode of communication a lot in past years. It’s now become the heartbeat and basic mode of communication among young generation. iMessage needs to go along way to capture the market outside U.S. WhatsApp is the preferred and widely used messaging app in Asia and Arab region. Many businesses (like construction) has switched their activities of sending site pictures, small files, immediate queries etc.. via this messenger. Previously Email is the mode used to such type of communication; but using WhatApp now a days are so easy that everyone is taking advantage of it. This is the first step by Apple in making iMessage easier for users to communicate and keep connected. The core feature of iMessage is its simplicity, security and convenience.